Michi Fuji was born in Toyota City, Aichi Japan. Started playing the violin at the age of 3. After graduating from Sugiyama jogakuen Senior High School, she attended Aichi Prefectural University of Fine Arts and Music, graduated with a Bachelor Degree of Fine Arts and Instrumental Music. 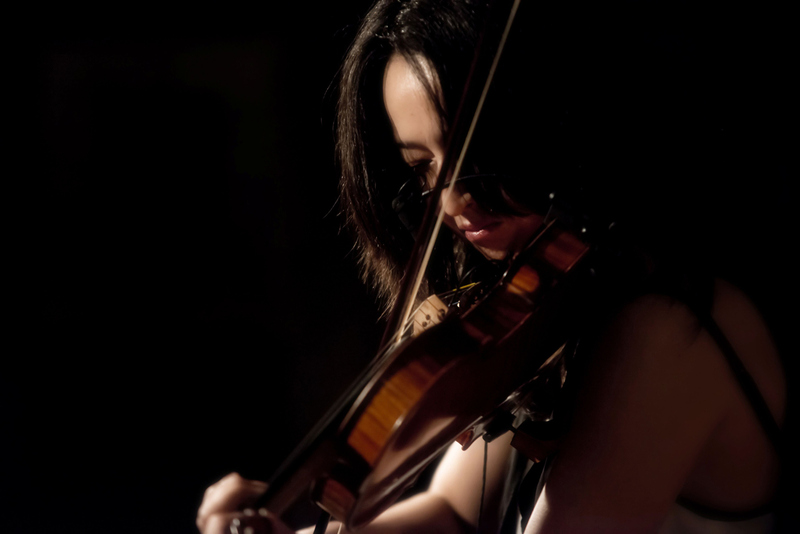 After graduation, Michi completed one additional year of Post Undergraduate Studies at Aichi Prefectural University of Fine Arts and Music majoring in Violin Research. During this period of time, Michi became a member of the Aichi Chamber Orchestra. In 2008, Michi moved to New York to continue her musical studies at the New School for Jazz and Contemporary Music where she studied with Junior Mance. Upon graduating from the New School for Jazz and Contemporary Music, Michi became a permanent member of the Junior Mance Trio and has toured with him extensively throughout the world. Michi is featured on Junior Mance’s latest CD, “ The Three of Us” which was released in 2012. In addition, Michi released her first CD “ Flight No.822 “ in 2008.